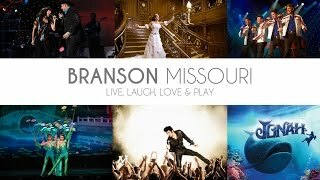 Staying at "Baymont By Wyndham Theatre District” puts you right in the middle of all the Branson action! Beautifully decorated and updated throughout, this perfectly located, independently owned and operated hotel has everything you’ll need for a good night’s rest, and an enjoyable time during your entire stay. Property amenities like an outdoor pool, health and fitness center, and guest computer will make it hard to leave! There’s even an adjoining 18-hole miniature golf course! Because it’s centrally located on Branson’s famous Highway 76, you’ll want to take advantage of all the shows, attractions, shops, and restaurants that are right nearby. And, although it’s located on the busy strip, it’s situated on property just beyond all the hustle and bustle. Room amenities include high quality mattresses, 32 inch flat screen televisions, microwaves, refrigerators, and much more. Children are not only welcomed, their stay (12 and under) is complimentary! Breakfast is complimentary, too! So choose comfort and convenience, complete with all the perfect amenities...choose “Staying at "Baymont By Wyndham Theatre District!"